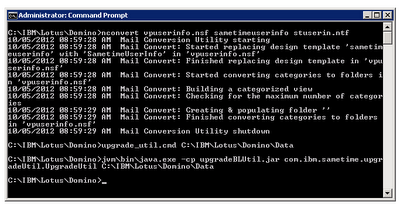 In a recent Sametime to Sametime conversion we noticed some strange behavior during post-migration analysis. 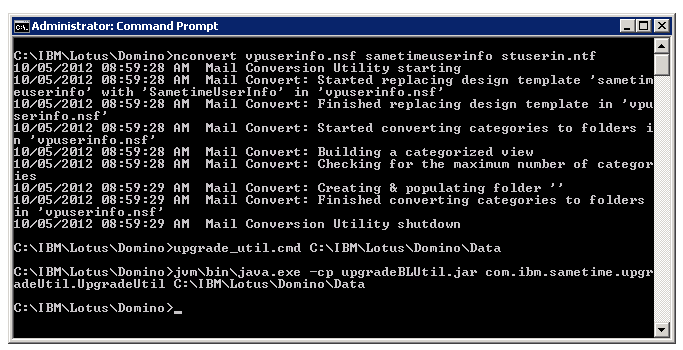 When migrating users, either from Sametime to Sametime, or from Sametime to Lync, we read from Sametime's User Information database (vpuserinfo.nsf), to extract information, and then stage some XML files which we'll use during our migration process. 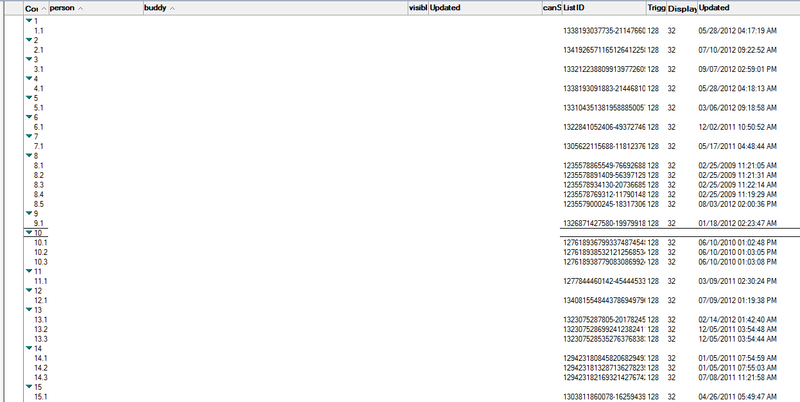 These files include buddy lists, lists the user is referenced on, public and private groups, etc. The issue we're seeing was specifically centered around Privacy List data which we don't modify during our conversion. The users that were impacted had their privacy lists swapped after the conversion, so users who had previously set conditions in their privacy settings, saw essentially the opposite effect post-conversion. For instance, if I had made it so that you could see me when I was in 'Do not Disturb' mode in Sametime, the opposite would be in place post-conversion, where everybody EXCEPT for you saw me as available post-conversion. 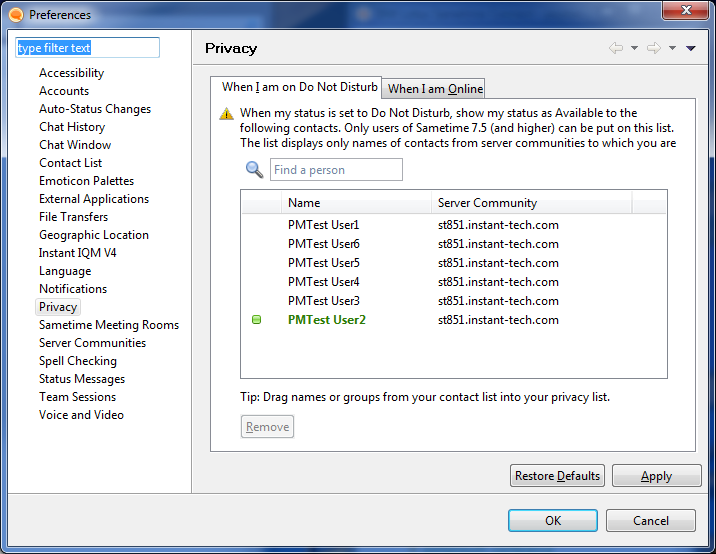 A list of users that see logged-in users as "Available" when they are in a "Do not disturb" state. 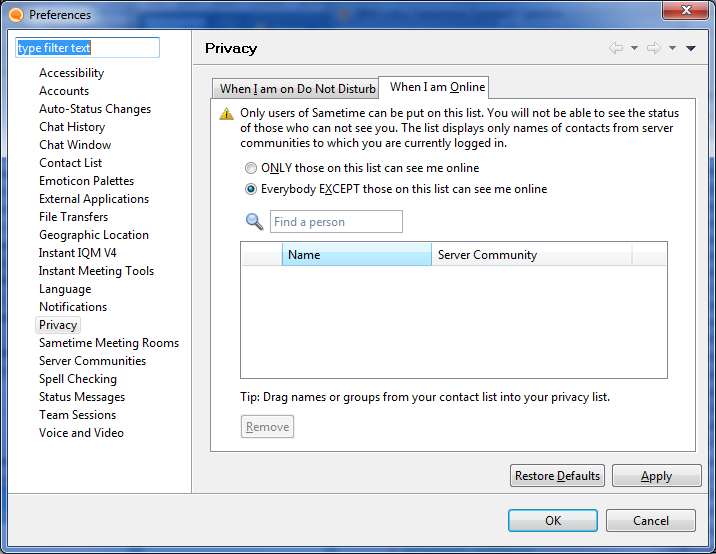 A list, either inclusive or exclusive, that controls which users can see the logged-in user when they are online. 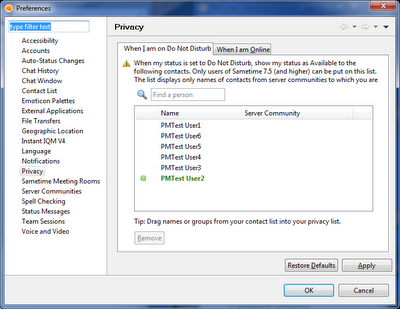 TriggerStatus - this is the availability status of the logged-in user that triggers the privacy rule. For the 'Do not disturb' rule, this value is 128. 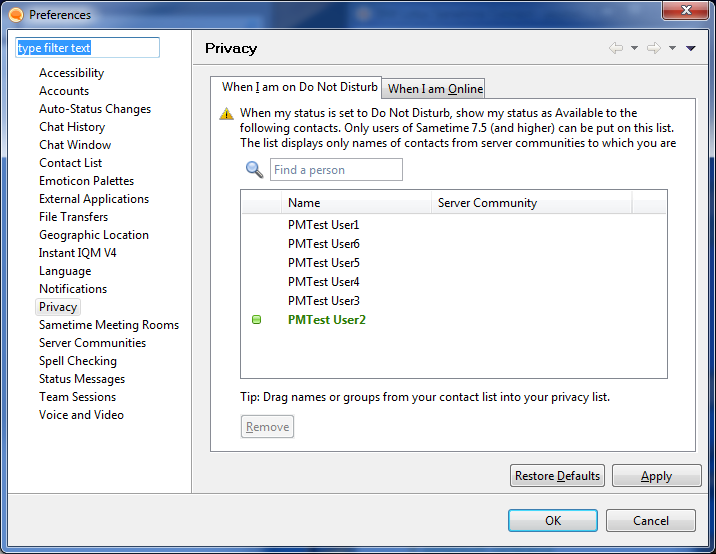 DisplayStatus - this is the availability status that will be displayed to the 'buddy' users when the logged-in user's status matches the triggerStatus value. In the process of outlining this information, we established a “Do not disturb” rule for the user CN=Peyton McManus/OU=US/O=Instant, with the above six users. 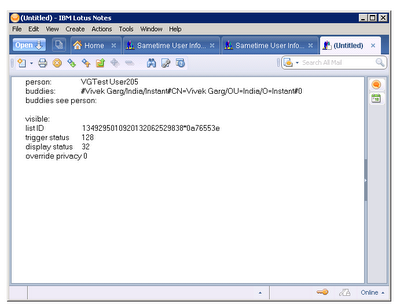 The resulting privacy record on our Sametime server is shown below. As you can see, buddies shows the six test users defined for the rule. TriggerStatus is equal to 128 and displayStatus is equal to 32. Buddies see person, which in this view maps to the underlying canSeeMe field, is set to null. The key field here is the listID field which is set to a unique ID that we are not able to create. Likewise, we tested setting up an exclusionary rule, this time for user “eric richards,” excluding the six users shown. 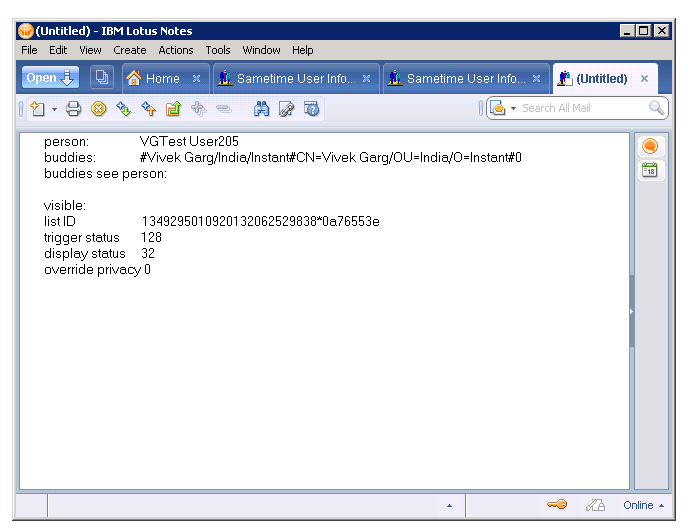 The resulting privacy record on our Sametime server is shown below. Here, you can see that buddies contains the six test users, and this time, the “buddies see person” value is set to 0, rather than null. 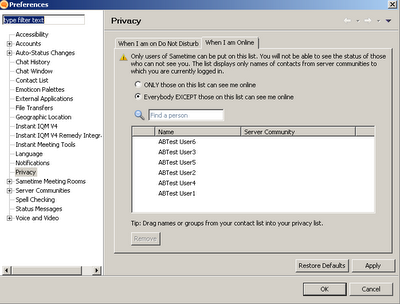 However, the key value is that the listID field is set to theFirstPrivacy_000111 value – which is how Sametime is categorizing people to display on the 2nd tab of the privacy dialog. During the conversion process, none of these privacy records are modified. The conversion code only affects field “8193” of the documents that have Form= “StorageAttributes.” This is where contact lists and server information is stored in an xml format. After the error with certain users privacy settings were reported, we began reviewing all of the privacy records, attempting to determine if any updates may have impacted any of the privacy settings. 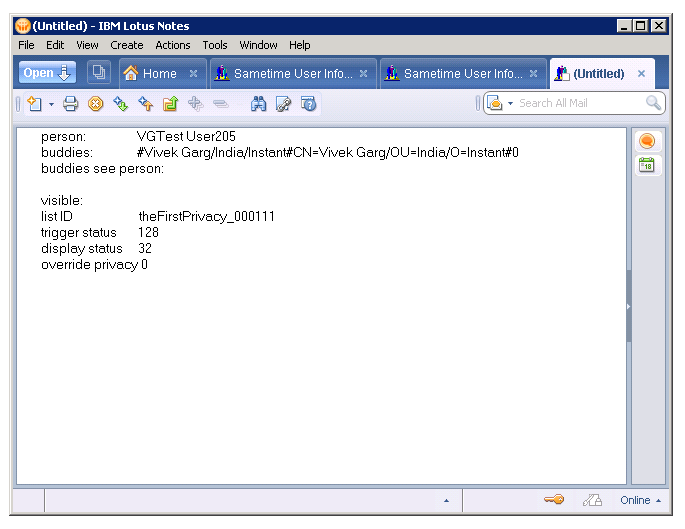 After creating a series of views to investigate this behavior, it appears that some automatic process on the Sametime server is updating the listID field of the privacy record. Here is a screen shot of the privacy view immediately after our conversion. The listID is exactly the same value both before and after our conversion. Here is a similar view from the new production server. Notice that the listID value has been set to the value theFirstPrivacy_000111. Based on the time stamps, it appears that this value is being set at a server level, possibly by a server process. Here are the 2 environments (post conversion and new production) with an overlay to show the before/after. 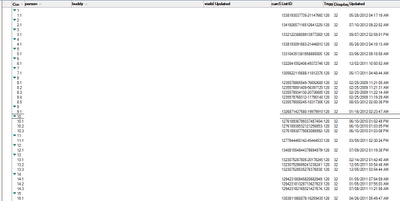 After running the command, privacy records look like the following screenshot; listID has changed.